I’m not sure if I’m more excited to return to Southern Ohio for the first time in years or to race over logs in a river, but I am pretty excited for June’s Warrior Dash. If you live in or near Ohio, haven’t already signed up, and aren’t one of my many pregnant friends (this is so up your alley, Melissa), I request that you join me in this because it’s not possible that it won’t be fun. 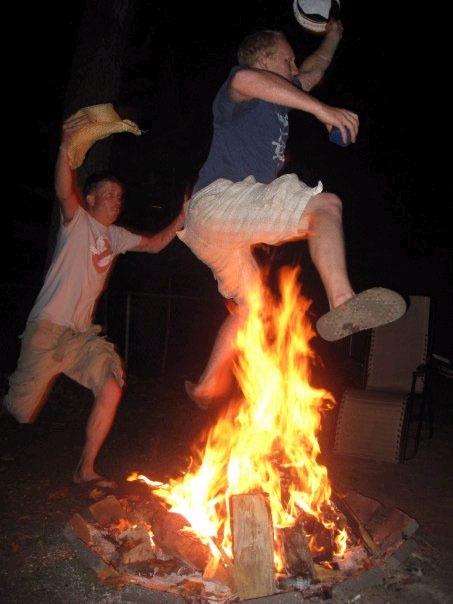 After all, the fire-jumping is required. Click here to register. Don’t think! Sign up! (It’s completely thematic. You can call it research for class).